Welcome to Three P’s Picture Framing, the Sydney picture framing specialist. Located in the Camden area, South West of Sydney, I’m an award-winning picture framer with over 15 years’ experience in professional picture framing. Do you have something unique you cherish, a momento or perhaps some early family photos handed down to you? Are your wedding photos waiting to be framed or your graduation certificates wanting their place to shine? I can frame your piece to look awesome in any space and bring the attention it deserves. My awesome workshop which doubles as a showroom is the place to bring pieces you cherish to Protect, Preserve and Present them to enjoy forever. I take great pride in everything we frame whether it be a flat two dimensional or three-dimensional object, paintings, photographs, prints, posters, memorabilia, boots, balls, floral arrangements, cross stitches and even complicated handmade lacework. Small one off jobs to larger orders, I can cater and co-ordinate framing projects anywhere across Australia. There is no job to big or small that we can’t handle. As Macarthur’s preferred quality picture framing service, we deliver a premium product with truly amazing results that are ready to be put on display in your home or business. As a custom picture framing specialist, we understand that your frame is dependant on personal taste. We will help guide you through our stunning selection of options so that we can truly create something unique for you. Original artworks on paper, Limited edition prints, Paintings on canvas, Photographs, Documents & Certificates, Needleworks, Memorabilia, 3D object/box framing, Mosaics, Puzzles, Prints & Posters, Medals & badges and wild boar skulls... yes we have framed one! Do you have something which deserves attention? Something you are connected to? 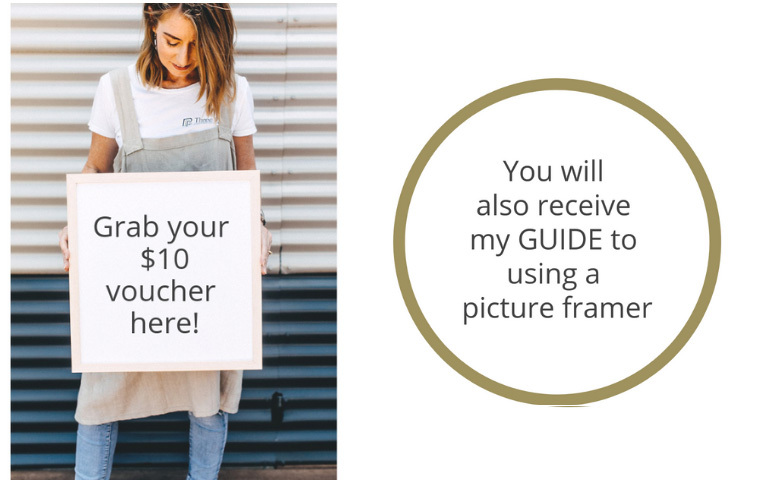 Sign up and grab a $10 voucher to use on your framing order! Lisa is a friendly and easy going person to deal with. She has a wide range of frames to choose from, and is happy to spend the time needed to select the right one. As a painter who has used many framers, I was happy with the work and the quality of the product. Wow! What an absolutely amazing job you did with my precious photos. They turned out even better than expected and now they are hanging with pride, right by the front door so that everyone can see them as soon as they walk in. Lisa, thank you for taking such care of the photos that are most dear to my heart. I highly recommend Lisa at Three P's to frame your next work so that the beautiful pieces belonging to you can be enjoyed for many years to come. There was no time limit with this lovely lady. Lisa showed me many options, my pros and cons resulting in an absolute masterpiece which is hanging with pride. I thank you Three P's for making a memory look like a true reality. 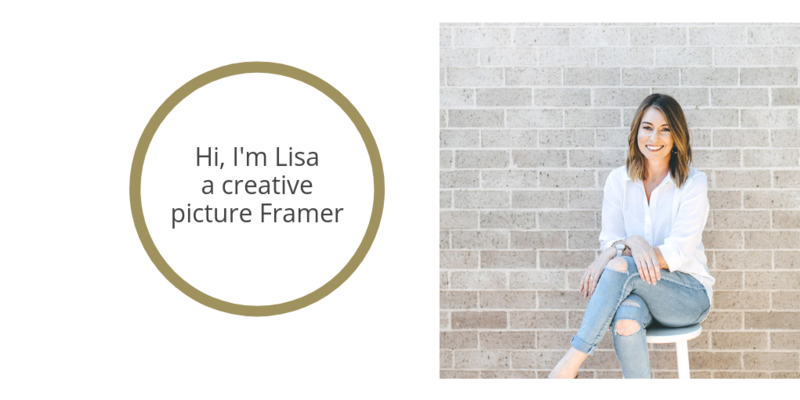 Lisa is simply excellent at what she does! The attention to detail is paramount. We had 4 prints framed by her and we always get asked who did them when people visit. Can not recommend her highly enough!